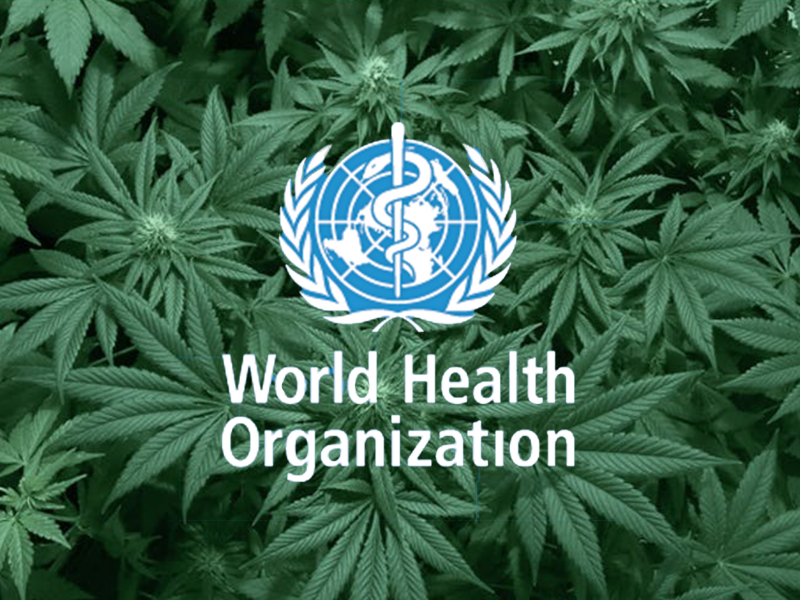 The World Health Organisation (WHO) is calling for whole-plant cannabis to be moved from Schedule IV, the most restrictive category of a 1961 drug convention. The body also expressed it desire for THC to be removed from another drug treaty, signed in 1971, instead placing the psychoactive cannabinoid alongside cannabis in Schedule I. Schedule IV is exclusively reserved for substances which have limited, or no, medial benefits. This scheduling is separate from British schedules. Cannabis was moved from Schedule I (the highest in Britain) to Schedule II in November 2018. In the yet-unreleased report, WHO also made declarations that CBD, and CBD-based products containing less than 0.2% THC, are “not under international control.” CBD, unlike cannabis and THC, is not scheduled under WHO regulations. The body will make recommendations that cannabis tinctures and other products containing extracted cannabinoids should be removed from Schedule I, with compounded pharmaceutical preparations containing THC would be placed in Schedule III of the 1961 convention. Legally, the recommendations would not allow countries to legalise cannabis, but the political impact they could have are potentially enormous, especially for patients waiting for medical cannabis prescriptions. WHO’s newly adopted stand on cannabis coincides with numerous countries legalising cannabis for both medicinal and recreational purposes. Plausibly, a change in policy direction at the UN could inspire individual nations to have a look into their own policies on cannabis; although, legalisation for recreational use would still violate other global conventions. But, as we have seen with Canada, those conventions are not necessarily binding. The new proposals could be discussed as early as March before the UN’s Commission on Narcotic Drugs, where 53 member nations will have the opportunity to vote on accepting or rejecting them. Russia and China have both historically blocked drug policy reforms, and are expected to oppose the change in cannabis’s classification. On the other hand, nations like Uruguay and Canada and Uruguay, both of whom have legalised recreational cannabis, contravening current treaties in the process, are obviously likely to back the reform, as are a number of European and South American nations who now allow medical cannabis. It is unknown how a Conservative-led Britain will vote. Historically, Britain has backed the US in most UN votes. While the US traditionally pressures other nations to block cannabis reform, the fact that over half of the States in America have legalised access to cannabis either recreationally or medicinally, may make this stance untenable. Under Trump, hemp was removed from the banned substance list, so there may be hope that the US may vote for the new proposals. Guterres was Prime Minister of Portugal when the country famously decriminalised all drug possession. Regardless of WHO recommendations or policies, as shown by Canada and Uruguay, individual countries are responsible for their own drug policies. Given the continued policy of ignoring scientific evidence by the British Government regarding cannabis, it is unlikely a Conservative-led Government would consider relaxing their approach on cannabis.